SOuth Zone BOard of CoNtinuing Education(OZONE) as a registered body, is the extended arm of Tamilnadu Board of Continuing Education (TNBCE) was established in 1975 for improving Literacy rate in Tamilnadu by then Vice Chancellor of Madras Dr. Malcolm Adiseshiah and a team of educationists. The first State Resource Centre for Continuing Education as initiated by Government of India was attached with Tamilnadu Board of Continuing Education. Total Literacy project was implanted by State Resource Centre, Tamilnadu Board of Continuing Education for over three decades. Dr.Jayagopal succeeded as President of Tamilnadu Board of Continuing Education. In 1993, Mr.Ranga Bhasyam, I A S took over as President of TNBCE and Dr.K.Govindaraju took over as Vice President of TNBCE and Dr.K.Govindaraju took over as President of TNBCE in 2000 and continue as President of TNBCE and for two terms, Dr.K.Govindaraju served as Chairman of State Resource Centre-Chennai and this team is responsible for successful implementation of Arivoli Iyakam in Tamilnadu and Pondicherry in collaboration of Education Department. The State Resource Centre(s) (SRCs) are mandated to provide academic and technical resource support to adult and continuing education through development and production of material and training modules. In addition SRC would be required to conduct motivational and environmental building, action research and evaluation and monitoring. Malcolm award was instituted by TNBCE during the year 1993. 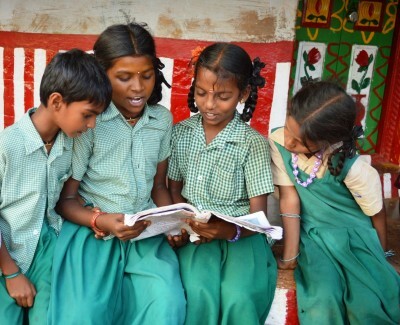 As India has achieved significant percentage of Literacy Level, the extended arm of TNBCE promoted SOuth Zone BOard of CoNtinuing Education(OZONE) to cater to need of poorest of the poor in the areas of Equivalency Education, Quality of Life Improvement, Livelihood promotion and promotion and Inclusive Growth of young population. The South Zone Board of Continuing Education was established in 2011 in tune to the motto Excellence in Action and it keeps before it the vision of excellence in all spheres of education. Literacy is the backbone of a progressive and the heartbeat of a developing nation. A literate nation is free from any kind of slavery and open to varied arenas of progress. Ever since the Continuing Education has been implemented by the South Zone Board of Continuing Education’ Training Programmes, Continuing Education Courses, Population Education Programmes, vocational skill development programmes and other comprehensive rural/urban development special activities with the collaboration of Voluntary agencies situated in Tamilnadu. The Continuing Education Scheme is multi-faceted and is postulated on the principles of treating basic literacy, post literacy and later continuing education. Above all the scheme aims at addressing the socio-economic situations of the community to provide infrastructure for larger development initiatives. The South Zone Board of Continuing Education has been playing a significant role in creating an environment where women themselves demand knowledge and study to empower themselves. Development programmes in each and every sphere of life cannot be the sole responsibility of the Government. This reality necessitates the active participation of non-government organisations (NGOs) in social development projects. Continuing education is such a field where NGOs have some very positive and significant contributions. The South Zone Board of Continuing Education is supposed to provide academic and technical resource support to continuing education. This has to be achieved through organising training programmes, material development and production, publication, extension activities, innovative projects and evaluations. Development of teaching-learning and training materials for literacy programmes. The South Zone Board of Continuing Education proposes the Production and dissemination for Continuing education,Training Continuing Education functionaries, Undertaking motivational and environment building activities for continuing education, Multimedia works,Running of field programmes and Undertaking innovative projects to identify future need of continuing Education programmes. The South Zone Board of Continuing Education has carried out and had the facilities such as: community support services to help community people to develop their life skills with self sufficiency and ensure the quality of life. Career guidance and counseling South Zone Board of Continuing Education provides career oriented assistance to the community people of several districts of Tamilnadu. The South Zone Board of Continuing Education has connection with NGOs those work for the promotion of Health, Animal Husbandry, Hearty Culture, Agriculture, Social Forestry, Rural Development, Social Welfare and Information and Education. The South Zone Board of Continuing Education has proposed to carry out the extension programmes during current year such as dissemination of technology to the community people, sensitization programme on social and economic issues, improvement of slow learners, enhancing employability of the youth from non-formal sector, guidance and counseling to rural youth and imbibing vocational skills to neo-literates for self sufficiency. The South Zone Board of Continuing Education, is to inter & Intra NGO collaboration programmes to raise the Human Development Index of the community through appropriate intervention programmes and Networking with Community based organization. The South Zone Board of Continuing Education strength lies in its vertical and horizontal mobility in achieving Inter and Intra Development activities. The South Zone Board of Continuing Education offers course in the field of Adult and Continuing Education. The South Zone Board of Continuing Education proposes to link the Community College system of Tamilnau Open University for offering a curriculum fitted to the needs of the local community. In the developing countries like India the Community College refers to an alternative system of Education, which is aimed at the empowerment of the disadvantaged groups and the underprivileged groups through appropriate skills development leading to gainful employment in collaboration with local industry and local community and achieves skills for employment and self employability of the disadvantaged and underprivileged group of people. The system is ‘of’ the community, ‘for’ the community and ‘by’ the community to produce responsible citizens. The proposed Community College will promote job-oriented, work related, skill-based and life-coping education. It provides education for a livelihood. It responds to the challenges of exclusion and elimination from the formal system, mismatch between education and employment capability, poverty and problems of unemployment, under-employment, unemployability and school dropouts. The Proposed Community College promotes job oriented, work related, skill - based and life coping education, including Life Coping Skills and Communication Skills. This year, International Literacy Day (8 September) was celebrated across the world under the theme of ‘Literacy in a digital world’ with the overall aim to look at what kind of literacy skills people need to navigate increasingly digitally-mediated societies, and to explore effective literacy policies and programmes that can leverage the opportunities that the digital world provides. At record speed, digital technologies are fundamentally changing the way people live, work, learn and socialize everywhere. They are giving new possibilities to people to improve all areas of their lives including access to information; knowledge management; networking; social services; industrial production, and mode of work. However, those who lack access to digital technologies and the knowledge, skills and competencies required to navigate them, can end up marginalized in increasingly digitally driven societies. Literacy is one such essential skill. OZONE instituted I. Knowledge Connectivity KALAM Award, 2.Quality of life Improvement KALAM Award, 3.Community Outreach KALAM Award and 4.Equalancey Education KALAM Award. Application for KALAM Awards are invited from reputed NGOs, and reputed personalities for the year 2016-17.The award carries a citation and Poonadai and will be honoured by Celebrities. This function is proposed to be organized either during the last week of September 2017 or October 2017 in Trichy. The exact date and venue for this function will be intimated later. 4. Reference Name and details with Telephone Number Email address. Iv.Impact in the target community. · One NGO/ One person are eligible for applying for one award only. The decision of the selection committee of the AWARD. The Award was presented to a scholar in recognition of her/his achievements in the field of Education and development as seen from their field work, and as encouragement for further contributions. The Award will consist of a citation and Ponnadai.